We have branding irons with interchangeable characters. One line or multiple lines, long or short. 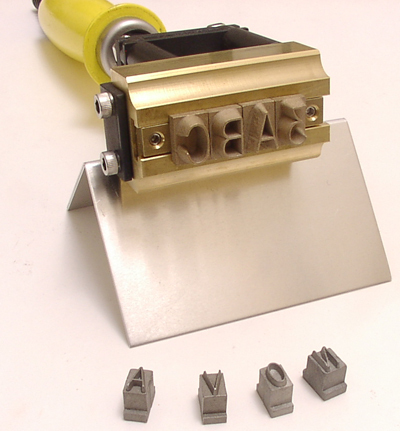 Shown below is our #15 commercial duty iron with one slot and 1/2 inch bronze characters in the iron and 3/8 characters shown below. 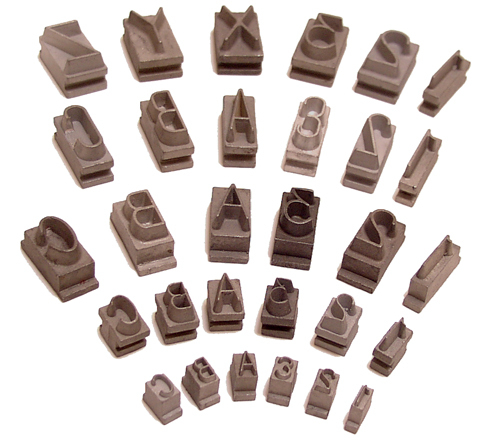 Characters from 1/8 inch up to 2 inch available as standard. Click here to see more images and sizes. Larger characters available by special request. 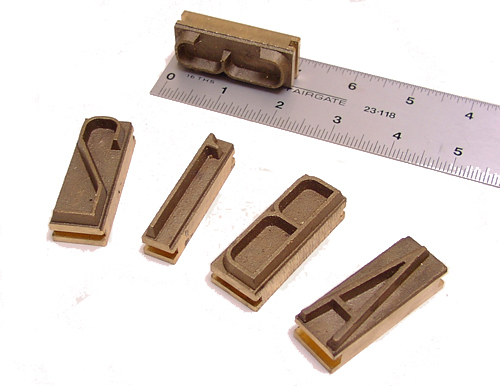 If you already have a changeable character branding iron and just need characters, our characters will fit many other manufacturer's irons.